As overnight temperatures dip to -30 C, the homeless population in Edson, Alta., is sleeping in sheds, in cars, or perhaps on friends' couches. 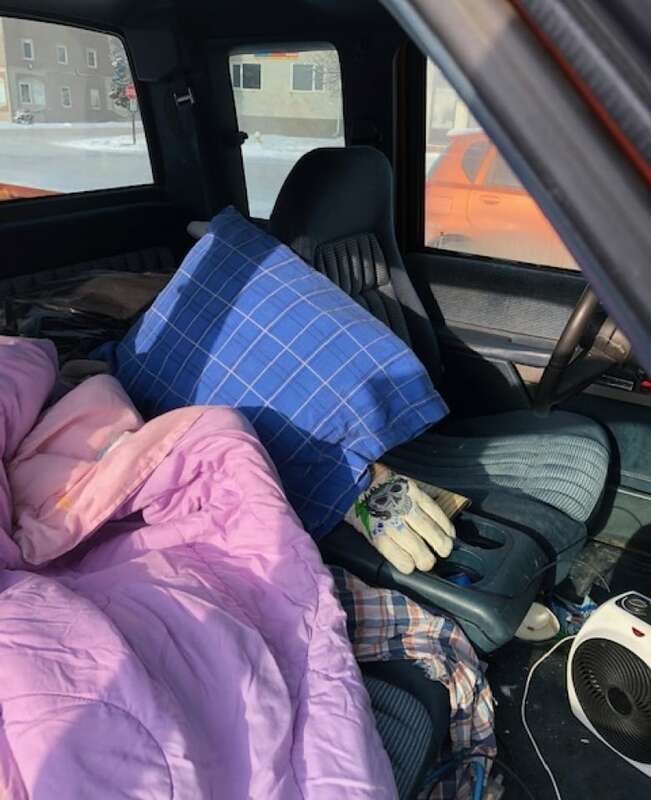 As overnight temperatures dip below –30 C, the homeless population in Edson, Alta., is sleeping in sheds or cars, or perhaps on friends' couches. The town of 8,500 people, about an hour east of Jasper National Park, does not have any sleeping facilities to serve people without homes. 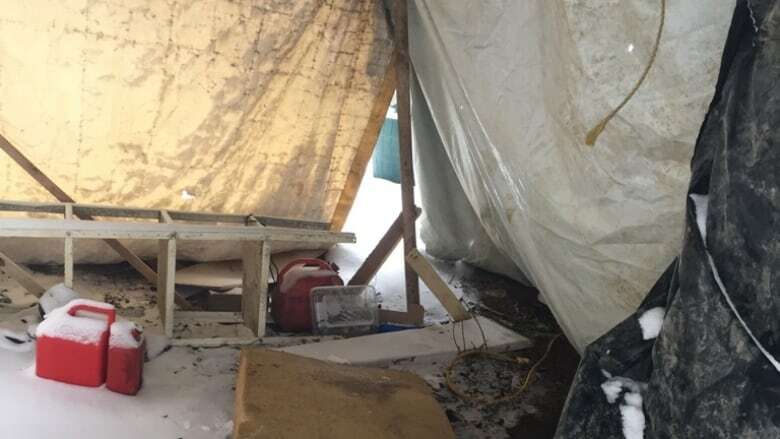 "We know that a lot of individuals are staying in sheds, recreational vehicles like motor homes or trailers," said Kristie Gomuwka, director of programs and services at the Edson Friendship Centre. "We know of a couple who are living in their vehicles. And they pull up to a business, run an extension cord with a heater in their vehicle, which is really unsafe. "We haven't heard of anybody who has had medical issues, so we're hoping they've found a place where they're hunkering down until the end of the cold snap." It's estimated the homeless population in Edson fluctuates between 50 and 100 people. "For the most part, rural homelessness is something that hasn't been talked about or addressed," Gomuwka said Tuesday. Other small Alberta communities have also struggled with the issue. In Wetaskiwin, a couple of crude sheds were erected in a field in August to offer escape from the summer heat. The structures burned to the ground in October. While the economic downturn has created rental vacancies in Edson, many of the people who require housing also need other supports and wouldn't thrive in conventional accommodations. The population is often called "hard to house." Big urban centres such as Edmonton have also struggled to create the permanent supportive housing that offers more intense, on-site support for that group. Some city councillors have called the need for such accommodations a top priority. In Edson, the Friendship Centre has applied for a $1.7-million grant through the new Indigenous Housing Capital Program to transform an old apartment building into at least 20 units, including permanent supportive housing, temporary shelter space, and affordable housing. "In rural communities, we have to be very creative in the ways in which we do some of the programming," Gomuwka said. "We don't have a big enough population to have those exist separately, so we have to figure out a way to make it work together. "That building would essentially be for all of those hard-to-house individuals. That's where the bottleneck is happening right now." The organization is currently waiting to hear if its grant application has been approved. A spokesperson for the provincial government said $18-million is available through the program annually. Twenty applications were made to the Indigenous Housing Capital Program in its inaugural year, said Amol Dhillon, and they are still being evaluated by a cross-ministry panel. Edson Mayor Kevin Zahara said there are vacancies in the town, but the population that needs the most help requires more than just housing. "You need wrap-around services. With (that), some people might be able to get back on their feet."